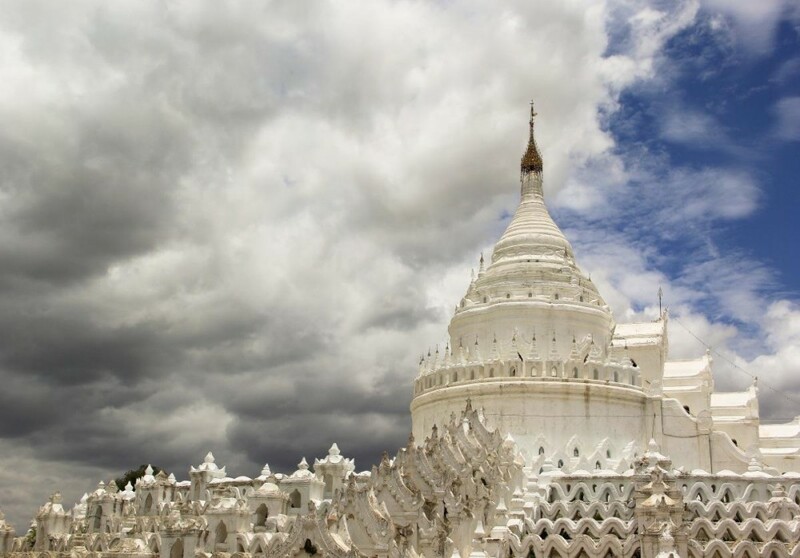 Dedicated to Princess Hsinbyume, the white pagoda in Mingun stands out from other Burma temples for its peculiar style, making it very different from the other religious buildings. The architectural design, with its seven terraces shaped like waves, is deeply linked to the Buddhist cosmology, and generated a vast number of interpretations. Many sources point out that the shape of the withe pagoda represents Mount Meru, the sacred mountain and centre of the universe in Hindu, Buddhist and Jain mythology. Built in 1816 by King Bagyidaw to commemorate his wife Hsinbyume, the ‘Elephant Princess’, who died in childbirth, the white pagoda in Mingun was one of my favorite Burma temples, if only for its originality. Mingun and the white Hsinbyume pagoda can be easily reached from Mandalay, crossing by boat the Ayeyarwady River. Tourist boats leave in the morning from Mandalay Jetty and return from Mingun just after lunch. However, if you prefer avoiding the crowds you can also rent a private boat, a good option for small groups but not advisable (as the cost is much higher) for solo travelers. I’ve seen this shot before, but I didn’t know where it was from. Very cool pagoda, thanks for sharing! The more I see of Burma the more I want to go! That white temple looks unlike any others I’ve see photos of anywhere in Asia, very neat!